Dr. Korin Rasmussen is a board certified Chiropractic Physician and Craniosacral Therapist who focuses on whole family care. She is a wife and mother to three amazing kids and she loves living in the Pacific Northwest for all that it offers to her and her family. She graduated from UC San Diego with a degree in Physiology and Neuroscience in 1994. Following a car accident in 1995, she began seeing a chiropractor and realized she had found her calling. After graduating from University of Western States in 2000, she started her own practice and began helping the community at large. Her techniques vary widely as each patient has their own set of needs and preferences, which can vary on any given day. She uses diversified, activator, and drop table adjusting techniques. 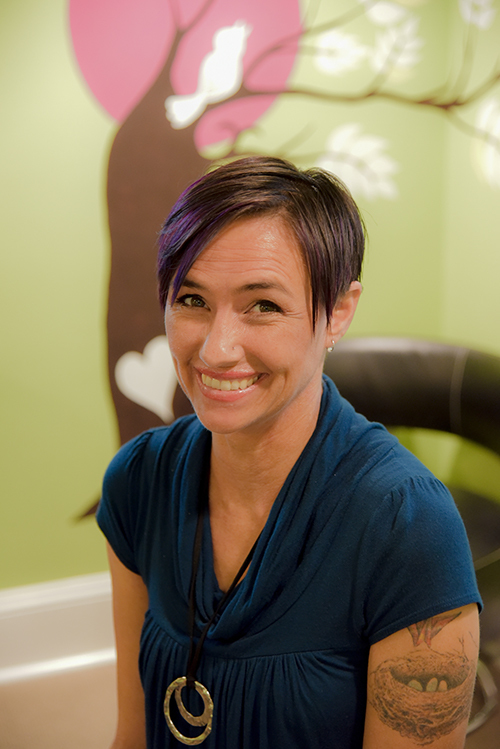 She also uses many soft tissue therapies, including muscle energy technique, active release technique, grostic, and myofascial release. Many physical therapy modalities are also utilized, including ultrasound, interferential current and heat/ice packs. Korin also uses CranioSacral therapy and gentle adjustments for infants, babies and toddlers. After years of practicing in a traditional office setting, she realized that creating a truly family friendly environment was of utmost importance. She decided that the best away to do this was to work from home. In Doctor Korin’s home office, the treatment room opens up into a playroom that is filled with puzzles, games, books, blocks and a magnetic wall for imaginative and exciting play. Adults and children of all ages are welcome to make noise, explore and PLAY while getting and staying healthy. Relax, Be yourself, Be well.